Smoky Hill Bound will be keeping you informed of all the weather alerts and school closures on the coming snow storm in the Denver Metro Area. 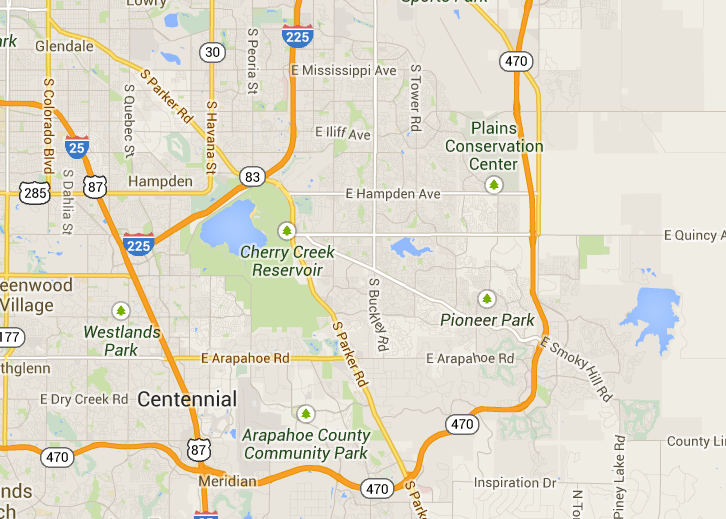 Centennial, Southeast Aurora, Saddle Rock, E470, Southands, Arapahoe County, Piney Creek, etc. is looking at anywhere between 4-8 of by tomorrow. Our blog and twitter pages will have info and the Smoky Hill Bound Forums page. Check out our Webcam page for cams in the area as well. Some are happy that we are going to get a little holiday snow. Stay warm. www.smokyhillbound.com. Winter Weather Advisory - A winter weather advisory is the “heads up” that general snow accumulations between 4 and 8 inches over a 12 hour period in the mountains and 3 to 6 inches over a 12 hour period in lower elevations, are expected. In addition, if visibility is expected to diminish as falling and blowing snow make it difficult to see or if wind blown snow is anticipated to create a visibility hazard for travelers, a winter weather advisory may be issued. Even freezing drizzle and other conditions involving snow and sleet that primarily impact driving conditions may trigger a winter weather advisory. May 30, 2012 - Central Eastern Colorado/CDOT Region 1 - PARKER – The Colorado Department of Transportation (CDOT) begins resurfacing State Highway 83 (Parker Road) between Lincoln Avenue and Cottonwood Drive on Sunday, June 3. Drivers can expect single or double lane closures on Parker Road from 9 p.m. to 6 a.m., Sunday through Thursday. Operations begin at Lincoln, proceeding north to Cottonwood. Once northbound is complete, work shifts to southbound Parker Road. While the lane closures are in place, the speed limit will be reduced to 35 mph. In addition to rotomilling and paving, work consists of constructing new curbs and gutters at select locations. The project also includes reconstructing the SH 83/Crown Crest Boulevard intersection, which was completed prior to Memorial Day. Between 42,000 and 48,000 vehicles travel SH 83 through Parker daily. The $3.3 million project, contracted to Aggregate Industries of Golden, CO., is scheduled for completion in August 2012. Weekly lane closure information about this and other projects is available at www.coloradodot.info/travel/scheduled-lane-closures.html or by calling 511. To receive project updates via e-mail, visit www.coloradodot.info and click on the cell-phone icon in the upper right-hand corner. The link takes you to a list of items you can subscribe to, including Denver Metro Area.